Denise Doyle is the President of Stop Loss Insurance Brokers, Inc. She has held that position since the company’s inception in 1994. During the past 20 years she has built the agency into a formidable presence in the stop loss marketplace. Prior to her experience with Stop Loss Insurance Brokers, Denise was the marketing manager for Liner Insurance Agency, Inc. for eight years and an underwriting and claims trainee with Home Insurance Company. She received her Bachelors in Business Administration from the University of Notre Dame in 1982. Her professional education includes the CPCU and ARM designations and she holds licenses as an insurance broker and an insurance advisor. 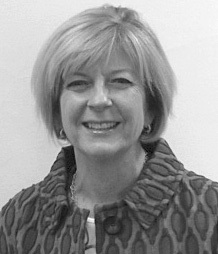 Denise currently serves on the Health Care Committee of SIIA (Self Insurance Institute of America), on the Membership Committee of The Boston Club and on the Advisory Board for the Charlestown YMCA. Denise resides in Charlestown and enjoys skiing in the winter and biking and golfing in the summer.